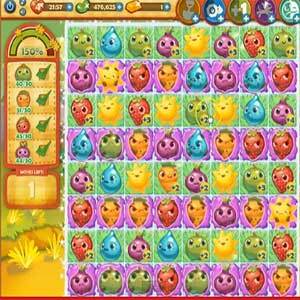 These Farm Heroes level 159 cheats and tips will help you beat level 159 of Farm Heroes. 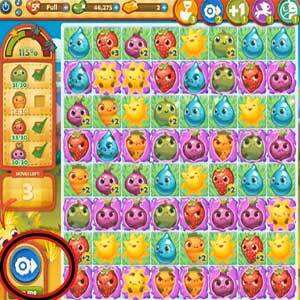 The objective of Farm Heroes level 159 is to collect 30 apples, 30 carrots, 30 strawberries and 30 onions in 30 moves. By moving the fruits and veggies into the slime they will become happy again. 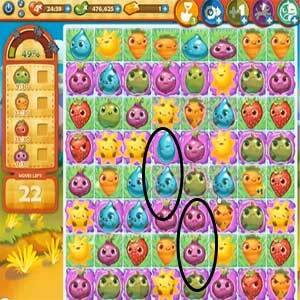 Since you cannot remove the slime from the board you will still have to match happy and grumpy fruits. Normally you should not use all boosters for one level but in this level because of the large amount of crops you have to clear in such limited amount of moves its best you use all 3 magic shovel boosters. Level 159 Cheat #3: Focus! This level will be very hard to get a perfect score. However, as long as you utilize your boosters and collect your crops, you should have no problem beating Farm Heroes Saga level 159.